We have found that the mask provides relaxation and comfort for our horses. There are MANY testimonials for this product from horse owners and veterinarians alike. The Mesh Fly Bonnet is a new offering with the same liquid titanium fabric and is USEF Dressage Competition approved. ​ FIR converts into radiant heat (infrared energy) which produces body warmth. Increases water transport and metabolism. Increases awareness and helps your horse focus in a positive way. DISCLAIMER: The contents and information are for informational purposes only. The information contained here is not intended to be a substitute for professional medical advice or treatment. If you have a medical condition, please always seek the advice of your physician or other qualified health provider. Information on this site is not intended to diagnose, cure or prevent any diseases. If you have any medical problems, please contact your doctor, physician or veterinarian before using any of our products. This "drug-free" breathable, fast wicking, 4-way stretch fabric makes the mask very comfortable for your horse while schooling or competing, while in a stall or turned out in a paddock or while travelling in your trailer. 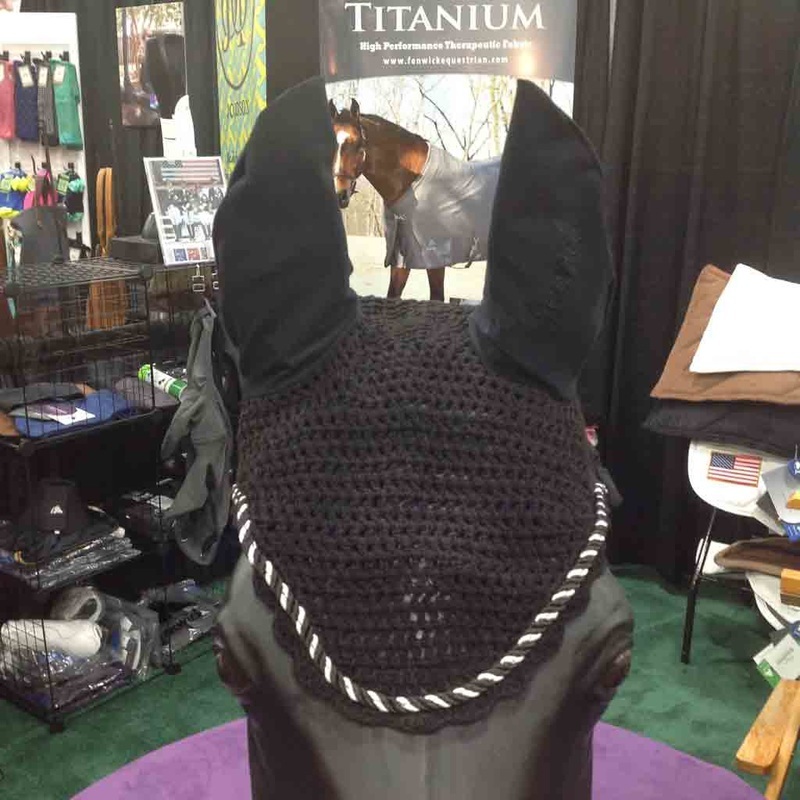 Fenwick's therapeutic mask can be worn 24/7, depending on your horse’s need. Sizing: The fabric has a good bit of stretch so it will snuggly fit the head.